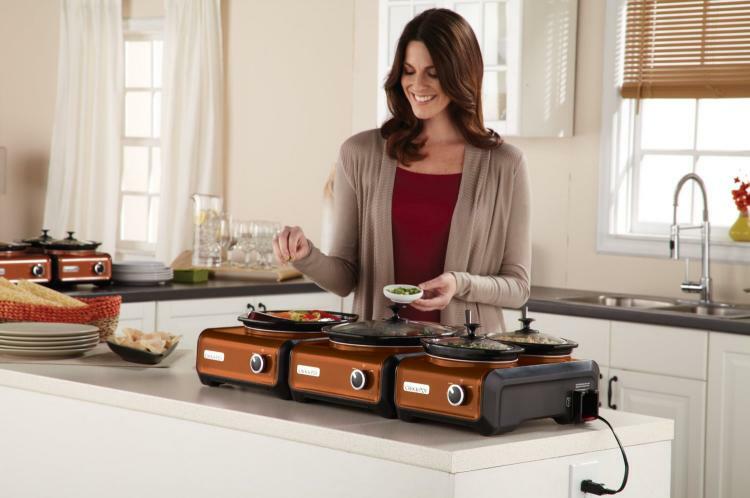 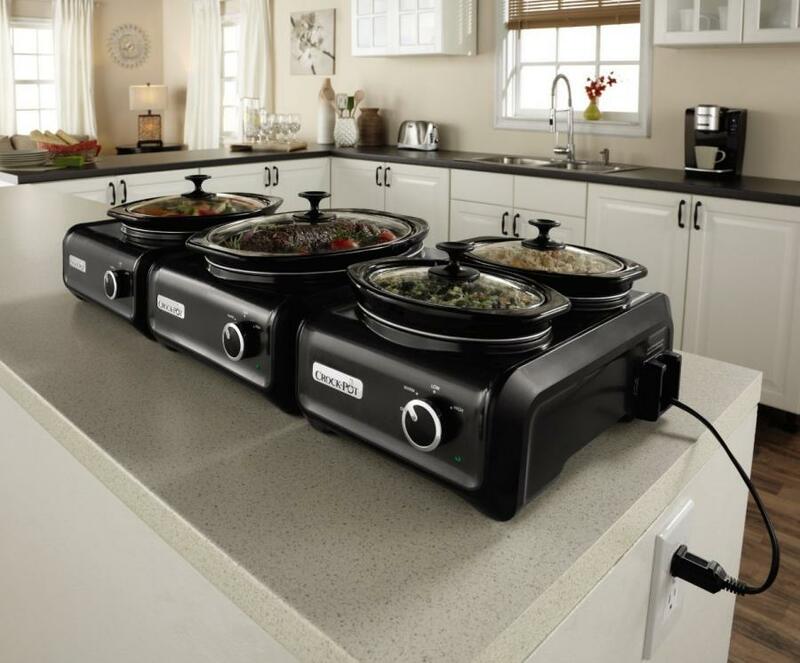 The Connectable Entertaining System Crock-pots are a set of crock-pots that you can daisy-chain together to create an endless amount of food for a party with just one plug. 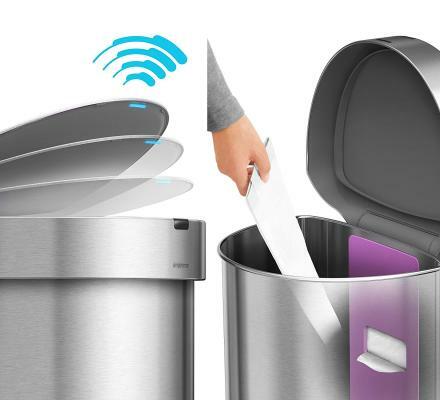 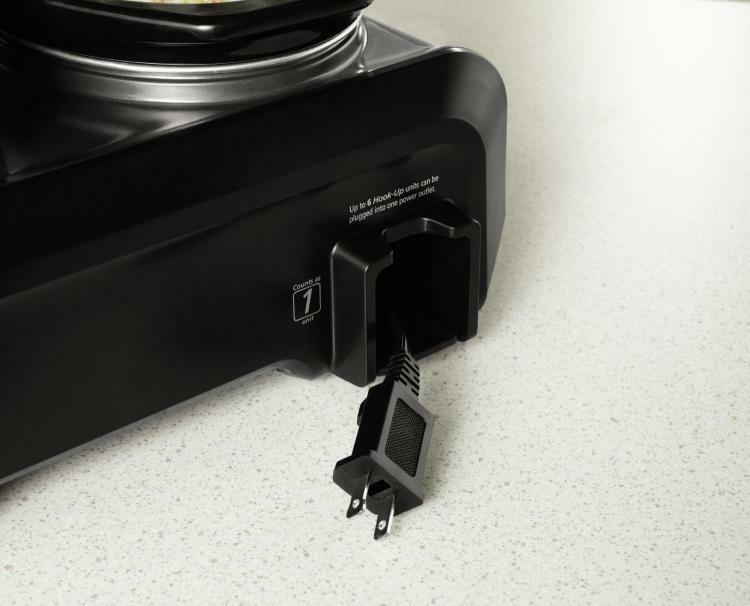 Each crock-pot has a plug that pulls out that allows you to plug it into a wall outlet, or if you're connecting it to a chain of crock-pots, the one side of it has a female connector port, and the other side has male connector plug to easily connect it into a line of pots. 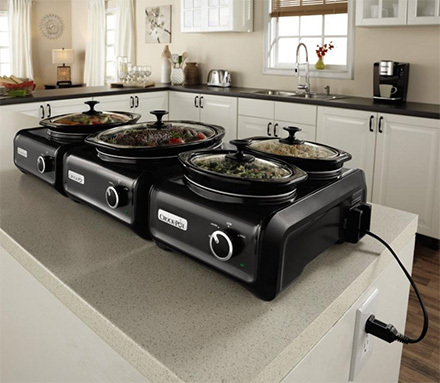 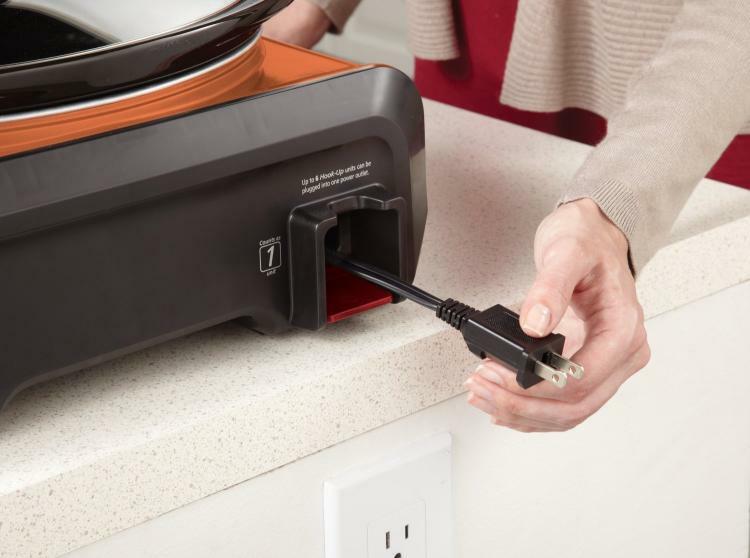 No longer will you need 7 surge protectors to plug in all your crock-pot dishes when having a party or going tailgating, simply line them all up and connect them together and use just 1 plug. 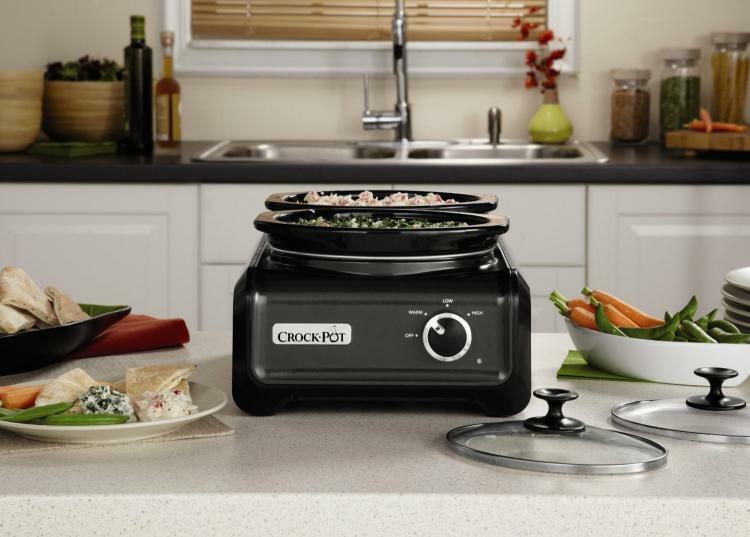 Plus their square shape organizes them neatly on the counter instead of having a jagged mess of oval pots scattered about your counter. 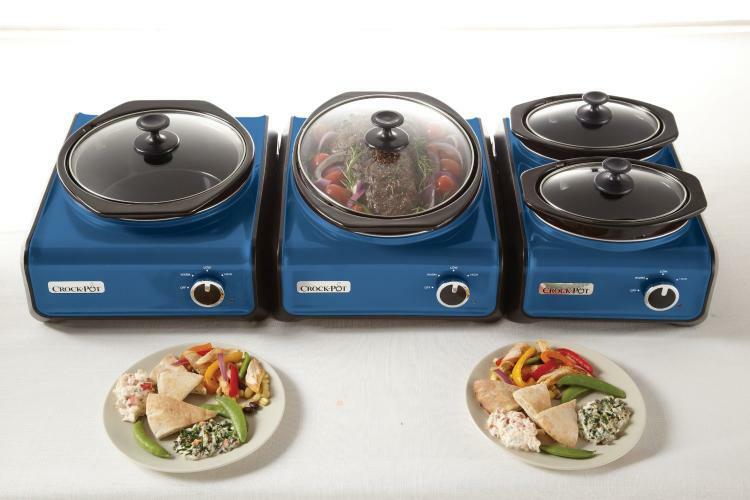 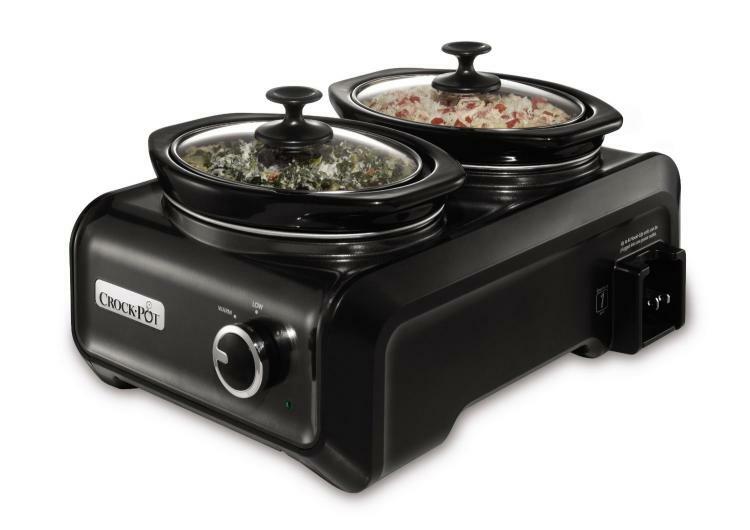 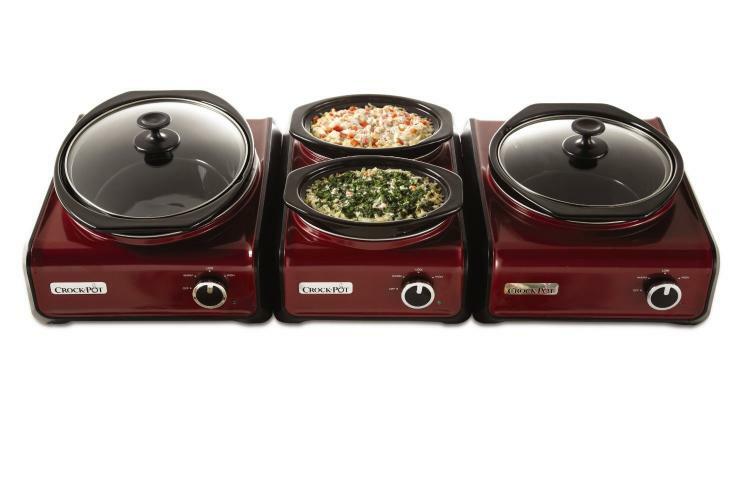 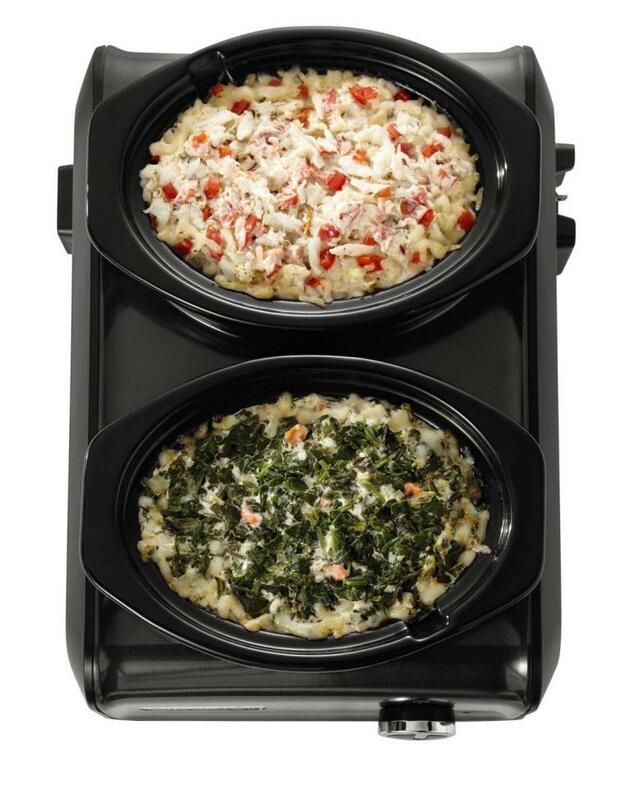 The modular crock-pots come in a plethora of different colors to choose from, including charcoal, blue, copper, red, and sage, features low, medium, and high heat settings, weighs 9 lbs, and measures 16.9 inches long x 10.2 inches wide x 13.9 inches tall. 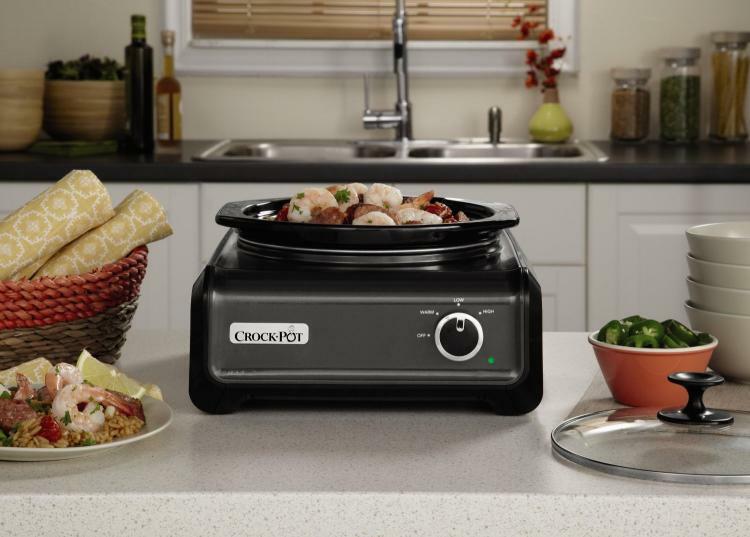 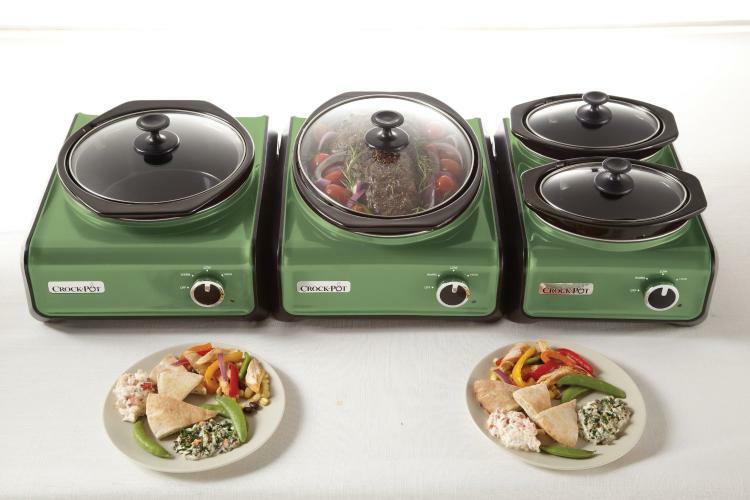 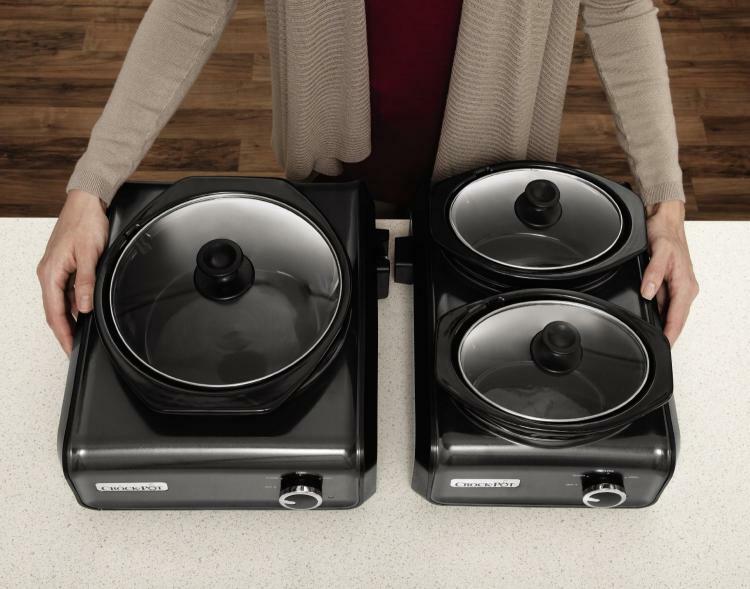 Check out the modular crock-pot entertaining system in action via the video below.